Hello, I am Jan-Adriaan and I have recently joined Pam Golding Properties. After 12 years in the formal financial sector as an Auditor and Accountant in the Television Division at the SABC, I felt it was time for a career change and to explore my entrepreneurial spirit. I decided to embark on a completely new adventure and bought a restaurant, named Greenfields, in the East of Pretoria. After seven successful years of owning and running the business we sold it and left for Wellington in the Western Cape to start up a brand new candy factory producing fruit bars from dried fruit for the health conscious snack market. Our 100% dried fruit bars were mainly exported to Europe and the USA and grew to a business that employed 123 people. Seven years later we sold the business and I decided to follow another passion of mine: Agriculture. Together with my son we started doing research on bamboo plants. After establishing three trial bamboo plantations of 10 hectares each across our country and doing intensive research on bamboo we attracted the attention of an international investor. He commissioned us to plant and establish a 400 hectare bamboo plantation near Bathurst in the Eastern Cape. This project took two years to plant with the help of 108 full-time employees, was successfully completed during 2014 and is still growing strong. Since then I became involved in establishing olive groves on old mine land to help rehabilitate the soil, create work and to earn income from the harvest for the mines. 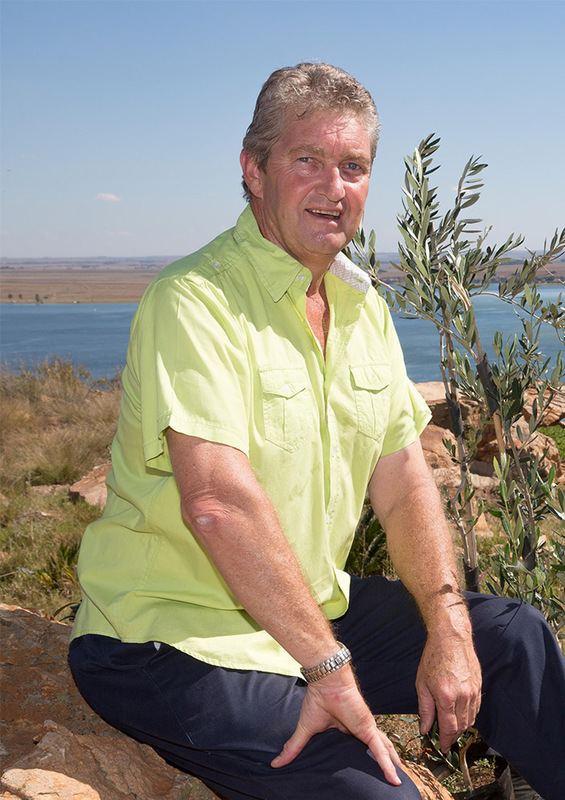 I was also commissioned to plant olive groves for private investors in the Gauteng area. My planting area was Bronkhorstspruit and it was then when the ‘real estate bug’ really bit me. My Pam Golding Properties principal convinced me to help him sell farms in the Bronkhorstspruit area since I knew man farmers. I joined Pam Golding Properties in March 2016 which has been my best move ever! Every day is different, exiting and adventurous and it doesn’t feel like I am working at all! I consider myself a very positive, professional, ambitious, social, caring, and deal-closing type of individual. I am performance-driven and a motivated self-starter. My work is a reflection of my character. With only 4 months experience as a real estate agent and real estate investor, I enjoy the great training opportunities, excellent infrastructure and stunning support systems that the Pam Golding Training Academy offers. I hold my Bachelor of Commerce in Accounting from the University of Pretoria, as well as passed the Estate Agents Board Exam for Principals in 1993. Every day is exiting and different. It is fun and a privilege to work outside in the county on farms and smallholdings. I enjoy meeting new people and finding solutions for them be it sellers or buyers. The Pam Golding Properties name is well known and respected and makes introducing myself and my work a lot easier. Not one day feels like a day at work!